Comfortable, practical suits for a range of occasions. The Bresciani suit is the suit that started it at all. Our first suit out of many different lines to branch off in future years. Over the years, hundreds of thousands of Bresciani suits have been assembled and worn by businessmen across the world. Over time, SRG adapted the fit of the Bresciani suit for today’s fashion while continuing its legacy as a timeless business suit. What’s inside of the suit defines its comfort and quality; however, it’s the aesthetic details of Bresciani suits that make them stand out. 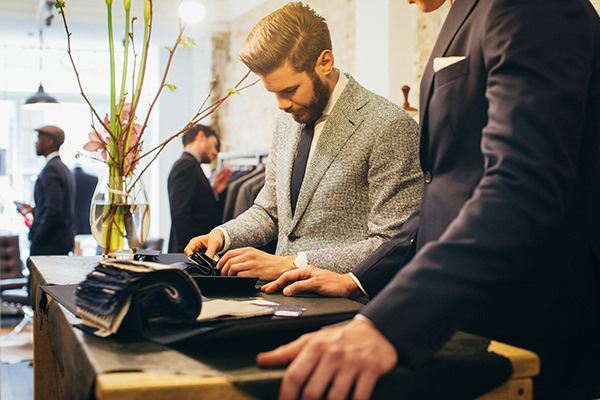 Specially designed buttons and buttonholes, complementing linings, as well as checked and striped patterns are just a few of the subtle elements that make up a superior suit.